Enjoy a delicious Tibetan Momo Dinner then watch "UNMISTAKEN CHILD: A Tibetan Monk’s Search for the Reincarnation of His Beloved Teacher"
After world-renowned Tibetan master Geshe Lama Konchog passed away in 2001 at age 84, the Dalai Lama charged the deceased monk’s devoted disciple, Tenzin Zopa, with the task of finding the reincarnation of this spiritual leader. Plagued by doubt, Tenzin knows his discovery is awaited by thousands of followers. 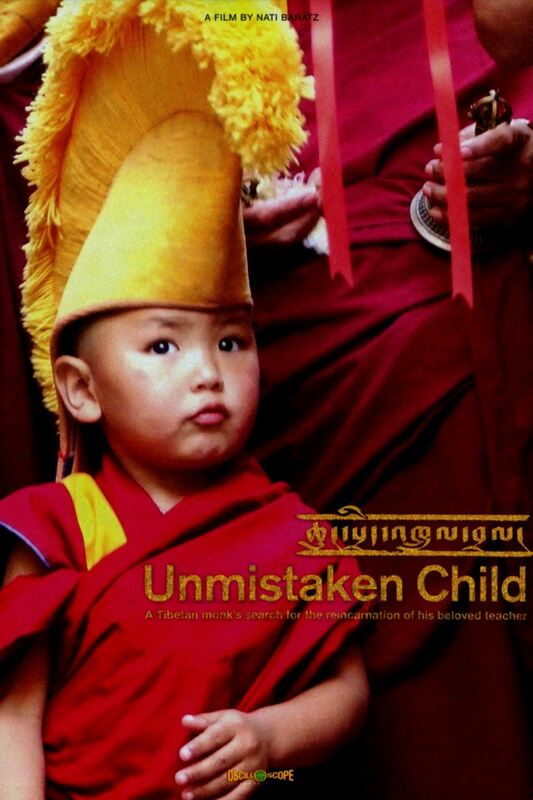 UNMISTAKEN CHILD is the story of his four-year search. Tenzin Zopa was designated special from a young age. As a reincarnated master, he was not allowed to play with monks his own age, and he was always in classes or with Geshe Lama Konchog. The connection between Lama Konchog and Tenzin was formed even before Tenzin was born — when Tenzin’s mother was in labor, Lama Konchog came down from his cave to attend to the delivery, even turning Tenzin inside his mother’s womb to prevent him from being born in a potentially hazardous breach position. At the age of seven, Tenzin joined Lama Konchog and stayed with him until his death, escorting his master in all of his worldwide teachings and activities, and learning English by serving as Lama Konchog’s translator. Stunningly shot, UNMISTAKEN CHILD follows Tenzin as he embarks on an unforgettable quest by foot, mule, and even helicopter, traveling through breathtaking landscapes and remote traditional Tibetan villages. Along the way, Tenzin listens to stories about young children with special characteristics and performs rarely seen ritualistic tests designed to determine the likelihood of reincarnation. He eventually presents the child he believes to be his reincarnated master to the Dalai Lama — who will ultimately make the final decision.